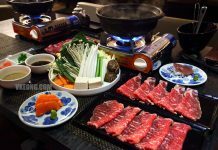 After being visited by some local celebrities, Aoki-Tei (sister restaurant of Umai-Ya) is now one of the hottest Japanese buffet restaurant in town. 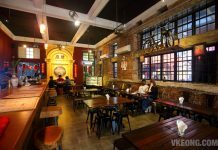 Forget about walking in especially in the weekends because they are fully booked at least a week in advance. So unless you plan to eat here in the weekdays, you better make your reservations quick. 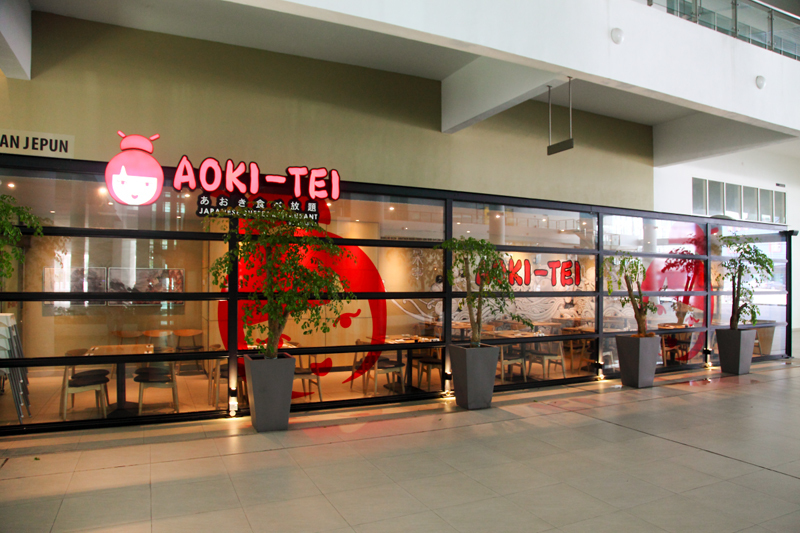 Unlike some other Japanese restaurants which serve buffet only on certain days of the week, Aoki-Tei actually specializes in it as seen on their sign. 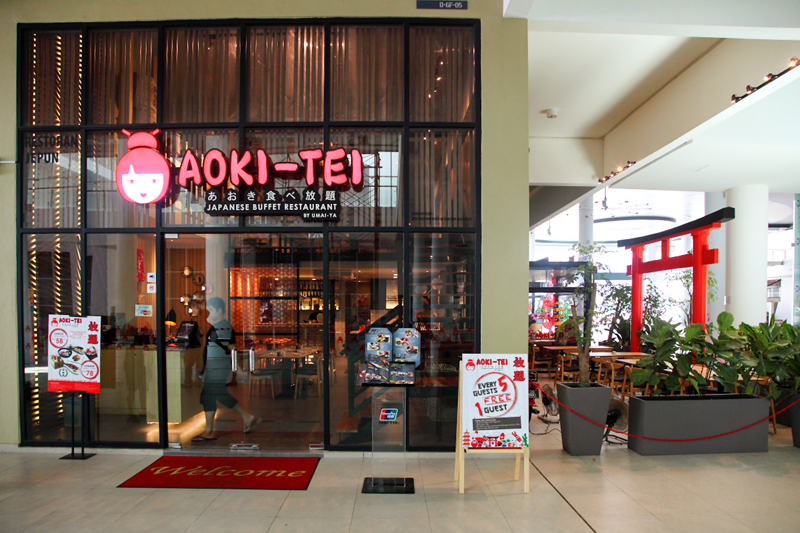 With the closure of so many Japanese buffet restaurants over the years, you’d have thought that it’s a dying trend but Aoki-Tei seems to manage to jolt it back to life. 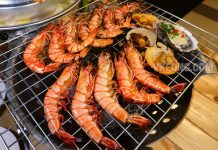 The a la carte buffet is currently priced at RM58++ for lunch and RM78++ for dinner. 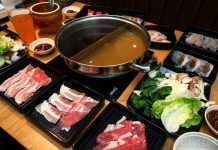 The menu features about 80 dishes (including drinks and desserts) and everything can be ordered without limitations, even beer and sake! 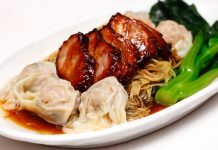 The Crystal Platter is only available for dinner and it’s extremely popular for the obvious reasons. 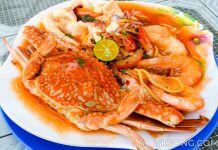 8 kinds of seafood are included in this set and it comes in a pretty basket too. Most of the Japanese restaurants won’t bother about the presentation when it comes to serving sashimi buffet style, but Aoki-Tei has gone the extra mile to ensure the food looks good when they arrive at the table. 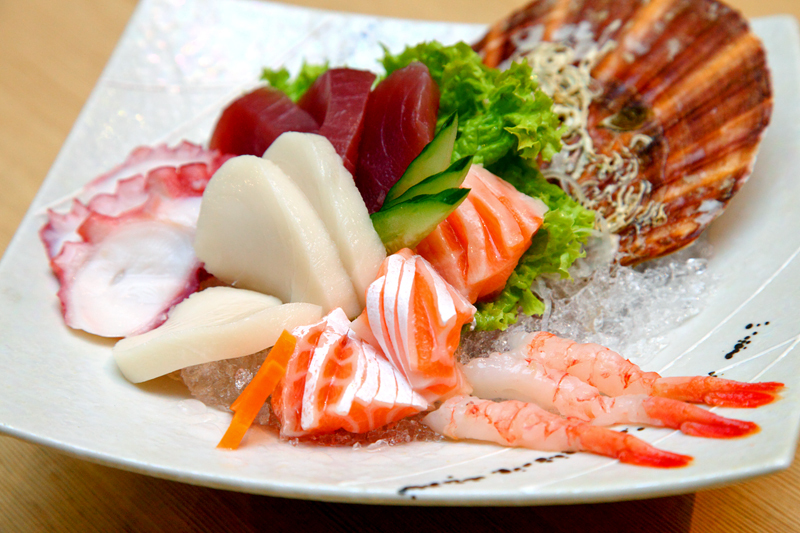 A less extravagant version is the Jumbo Platter that comes with 5 kinds of sashimi. 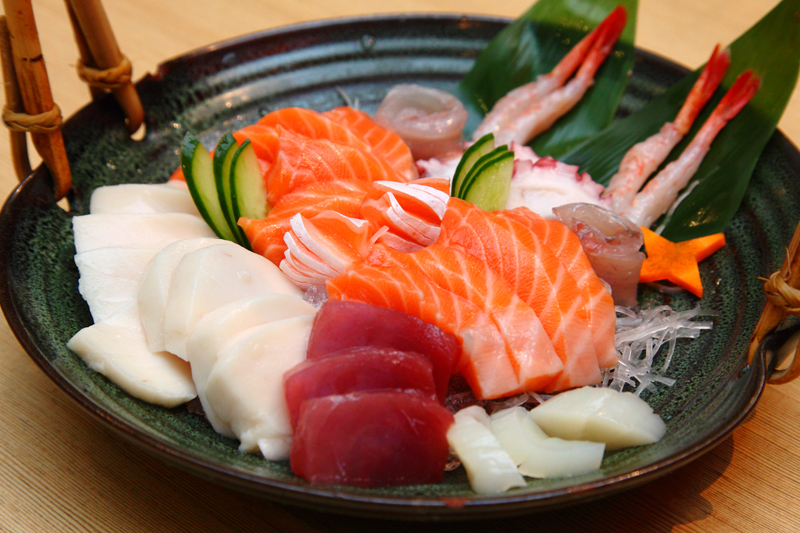 You certainly won’t get top grade sashimi here but we felt the quality of the sashimi is not bad for a buffet. More impotantly, the slices given are generously thick so you probably won’t have to repeat the same order just to be satisfied. 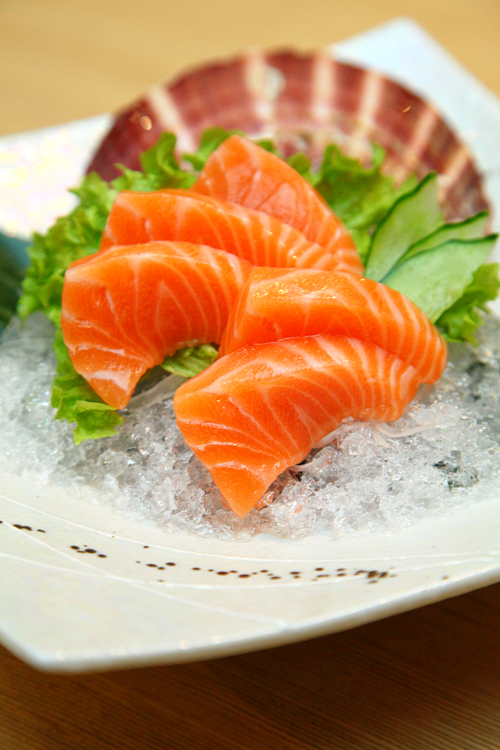 Smaller portions of sashimi (5 pcs/serving) are also available but the variety of fish is only limited to tako, salmon and shiro maguro. 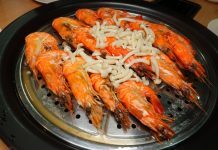 If you like sweet Japanese tiger prawn, don’t miss out the Sizzling Seafood because they are surprisingly large and even better tasting than those served in the sashimi. 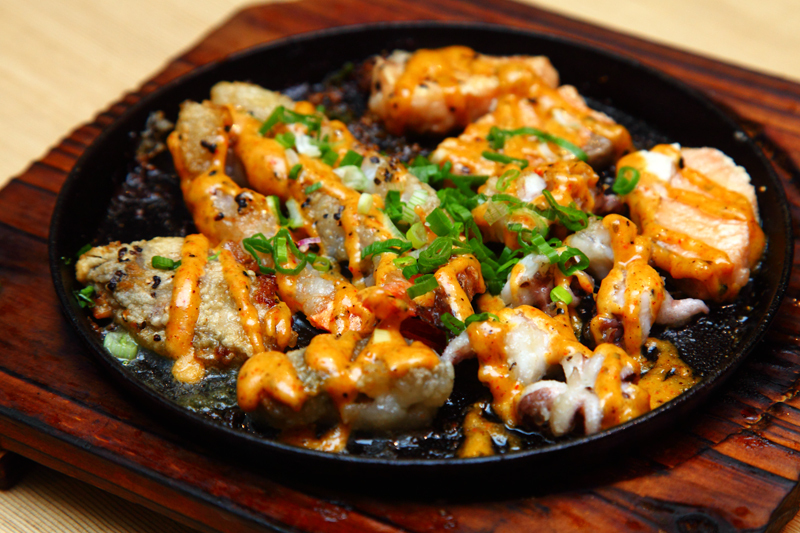 Besides tiger prawns, there are salmon, oyster and squid legs in this hot plate, all drenched in a tangy and spicy sauce. 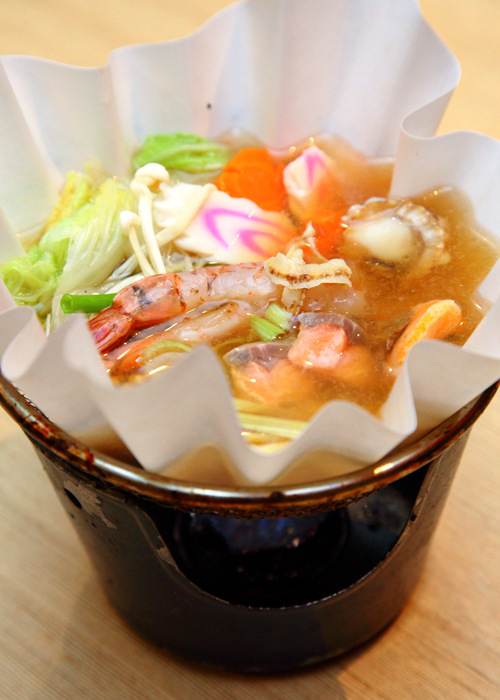 The Seafood Kaminabe is also highy recommended. 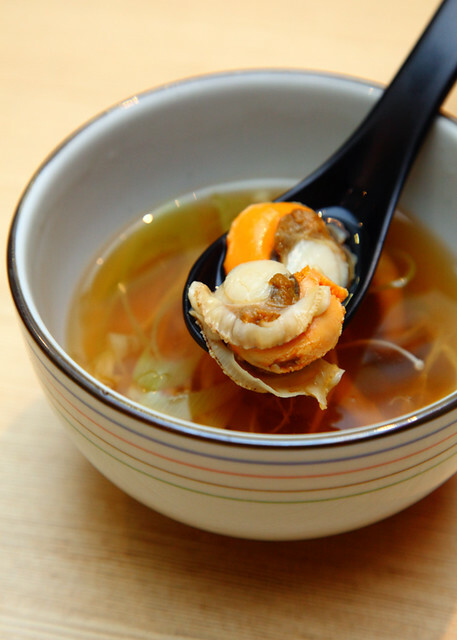 Not only the seafood is fresh, the soup is light and delicious too, so much so that we finished every single drop of it. As far as buffet goes, Aoki-Tei hands down serves the best paper steamboat. Hotate Soup comes with two plump juicy scallops and the soup was pleasantly sweet. I think this was a rare occassion where we were delighted by the quality of soups being served at a Japanese buffet. 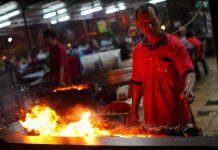 Most of the time they just taste like soulless and diluted soya sauce. 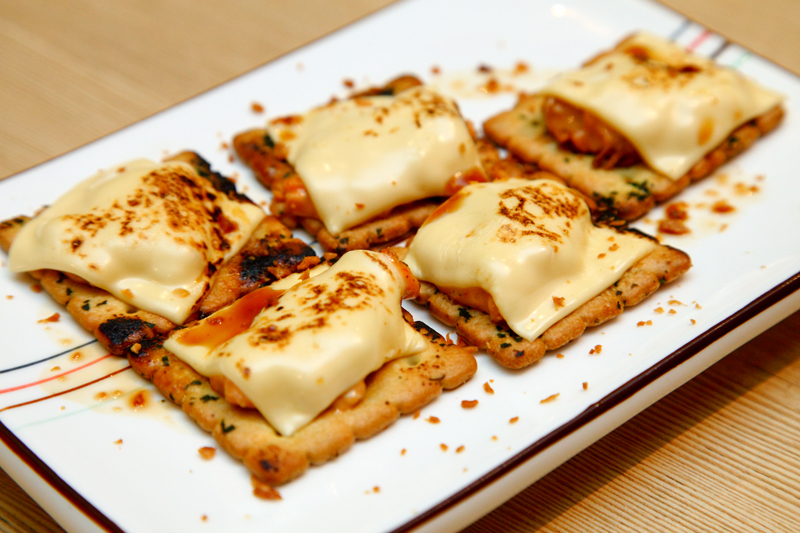 The Salmon Cheese Cracker is an appetizer but we only ordered it towards the end of our meal. As weird as they look, they are actually pretty tasty – crunchy, cheesy with a sweet salmon mayo, but maybe just a tad salty. 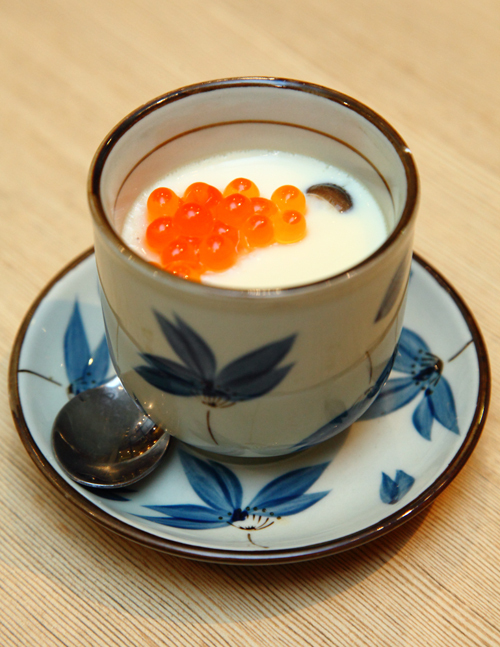 I have had better, but I can’t deny the Ikura Chawan Mushi was nice with a melt-in-your-mouth consistency. We actually had seconds. 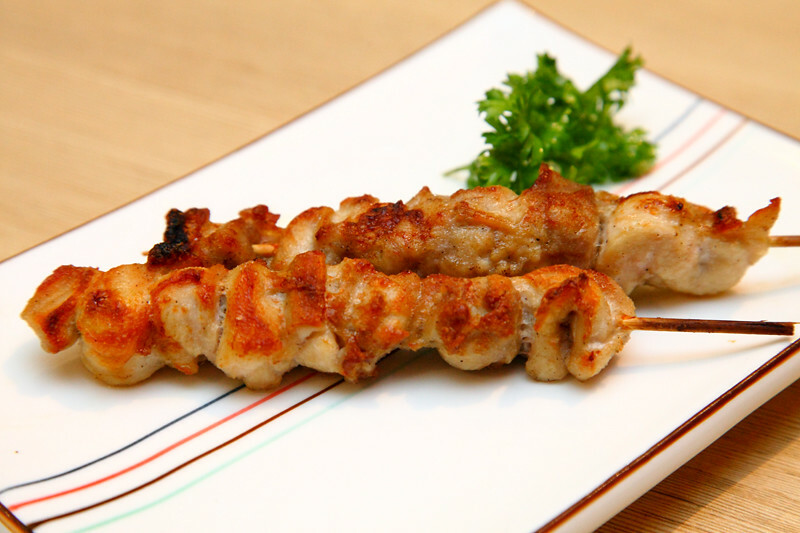 Chicken Yakitori was nicely seasoned and grilled, nothing to find fault with unless you’re being real picky. 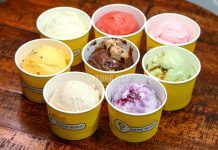 Desserts wise the choices are limited to either ice cream or Melona ice cream waffle. 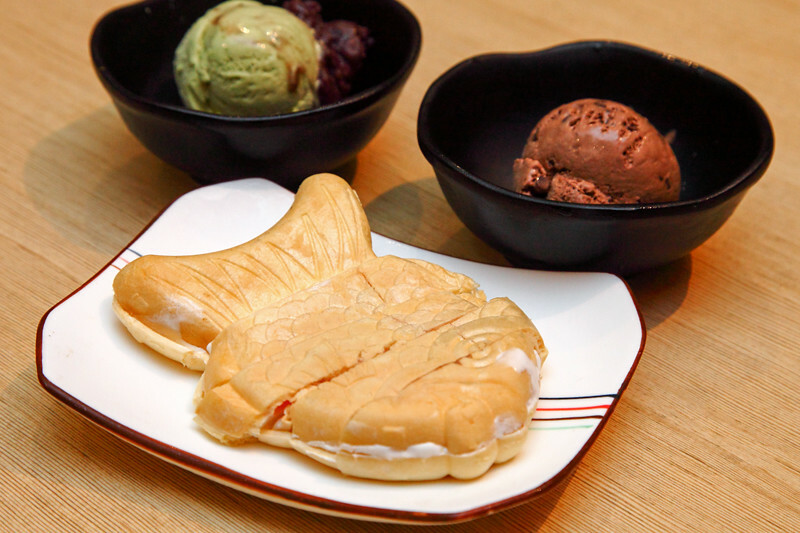 The latter is actually a fish-shaped waffle stuffed with flavoured ice cream widely available the supermarkets in South Korea and Japan. What I have shown earlier are the dishes we found to be good, but some of them could definitely use some improvements. 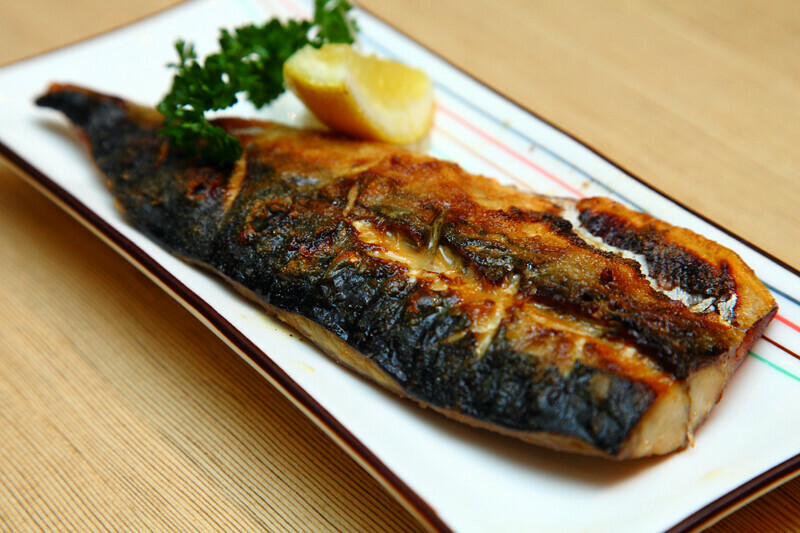 For a start, the Saba Shioyaki is a bit greasy and the skin does not taste as crispy as it should be. 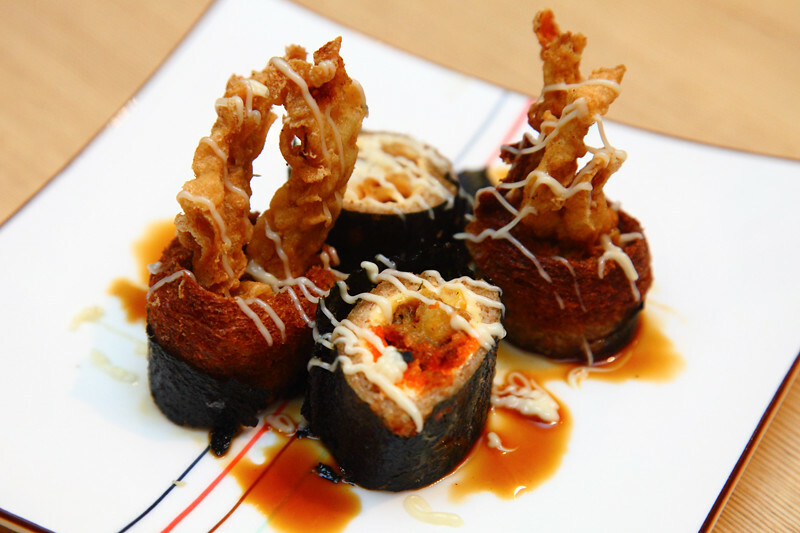 The Gani Cheese Fried had a mushy center (due to the rolled bread) but the soft shell crab was enjoyable, so it kind of evened out I guess. 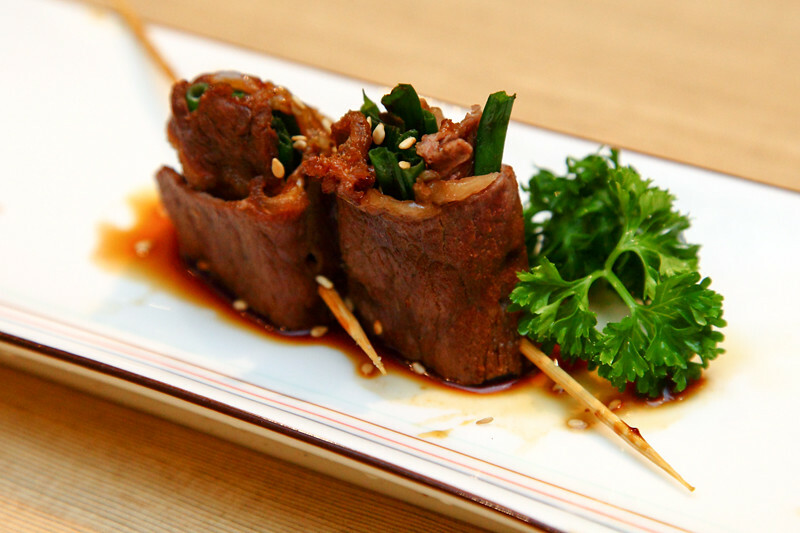 Beef Negi was chewy and the fibrous spring onion made it tougher to enjoy. 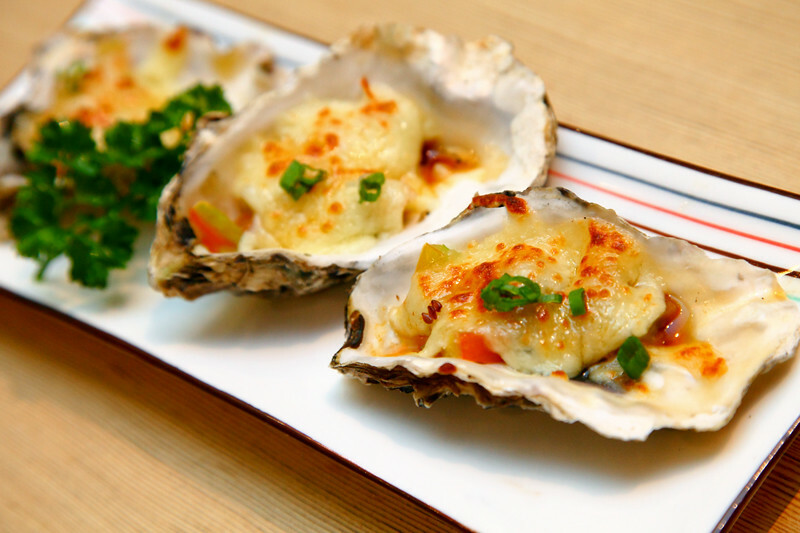 We were expecting the Cheese Baked Oysters to have that cheesy-pull factor but it was just a clump of cold melted cheese. Such a pity, otherwise it could have been good. 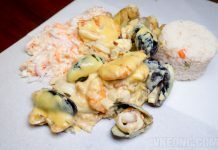 Overall, we were pleased with the food and find the experience worth the price we paid for. Service was good and friendly so kudos to the team, especially the guy who tended to our table. 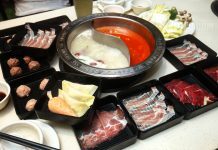 Although there were some mixed up orders and some dishes took longer than anticipated to arrive, we did not mind them at all since they are just minor issues. Moreover, there’s no time limit for the buffet so you are not racing against time. 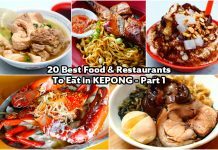 As long as you get smart and stick to the sashimi and the seafood dishes I am pretty sure you will find Aoki-Tei as satisfying as we did. 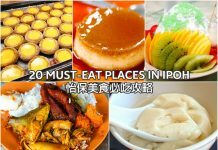 In fact, we purposely avoided all rice-related food like makimono, handroll and sushi because we wanted to save space for the better stuff. 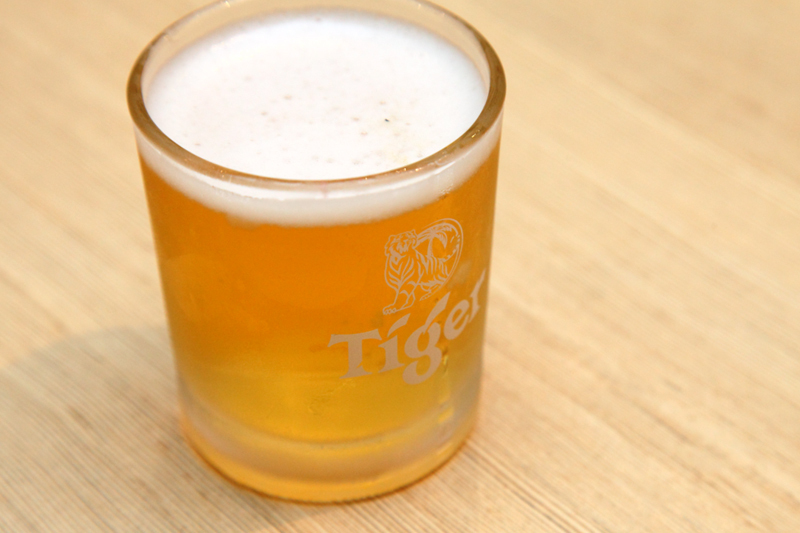 If you are a beer lover then there’s more reasons to eat here because as I mentioned earlier: free flow of Tiger beer and Sake! I think this alone is convincing enough for some to come.